Congratulations Halfmile it was great to meet you in the desert in the Joshua trees going southbound I hope you enjoyed the trail magic and most of all thanks for the Maps! I’ve thoroughly enjoyed your posts and especially your photos. I’m gong to miss those vistas. WOW. Wow, dude, wow. I enjoyed following your trip. Thanks for this! I’m so very happy for you! I have been following your journey since the start, and I always look forward to getting an e-mail with the newest post. Thanks for sharing your trek. Bravo and a hearty congratulations!!! Congratulations seems too small a word to tell you how fantastic a journey you have made–and how marvelous your posts and pictures have brought your path into our lives. 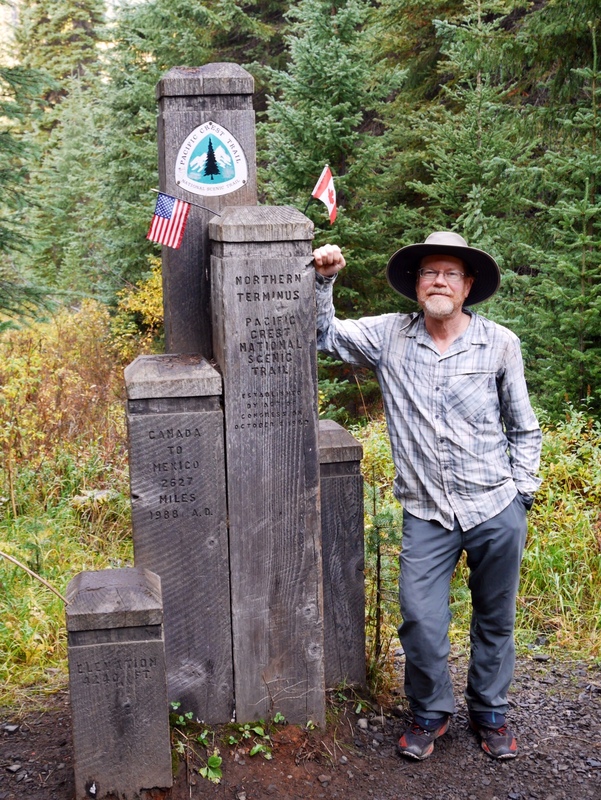 It was particularly enjoyable to see when you would traverse those small portions of the PCT that I have been on, although the speed with which you were hiking was always so swift that it seemed sometimes you were hardly touching the ground. Throughout your hike, Deb was your faithful companion; the two of you should be sublimely happy with how you did this together. Exquisite work, my friend. Congratulations, Halfmile. And thanks for your continued contributions to the PCT hiking community. Hurray! I have thoroughly enjoyed sharing Deb and your journey. Thanks for sharing this great adventure with your fan club.